In the testing of disorders that exhibit a high degree of genetic heterogeneity, the clinician is faced with a dilemma: whether to order a gene panel test, or to order exome sequencing? The dilemma arises due to the different ways in which causative variants can be missed through each type of test i.e. the mechanism by which the sensitivity of each test is compromised. With gene panel tests, the number of genes included in a panel for the same indication may vary widely between labs. While the analytical sensitivity for the genes included in a panel tends to be high, the diagnostic sensitivity of such tests can be compromised through failure to include some genes associated with the condition in a panel. 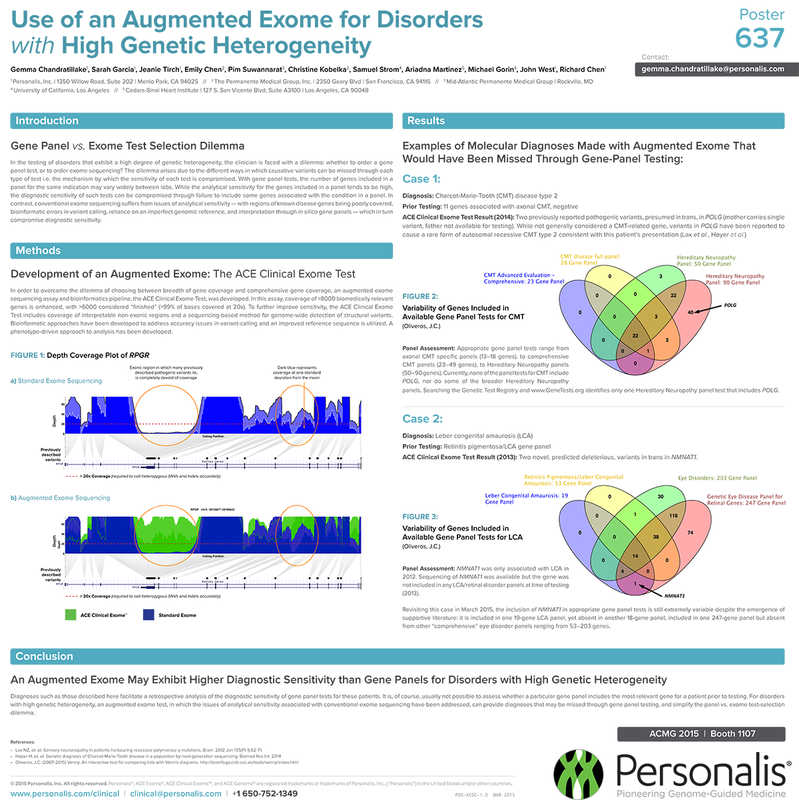 In contrast, conventional exome sequencing suffers from issues of analytical sensitivity — with regions of known disease genes being poorly covered, bioinformatic errors in variant calling, reliance on an imperfect genomic reference, and interpretation through in silico gene panels — which in turn compromise diagnostic sensitivity.